Schemmer's Corporate Marketing department received a 2018 Society for Marketing Professional Services (SMPS) Marketing Communications Merit Award for the Oklahoma Campaign in the Direct-Mail Campaign-Mixed Media category. The awards were presented during the SMPS Awards Gala on August 16 in San Diego, held in conjunction with Build Business, the Society’s annual conference. The campaign was created to generate awareness of Schemmer’s engineering and survey services to Oklahoma contractors, State DOT, municipal and private clients. The goal was to inform and influence the target audience to believe and support the viewpoint that Schemmer is a great Company to conduct business with and a great place to work. 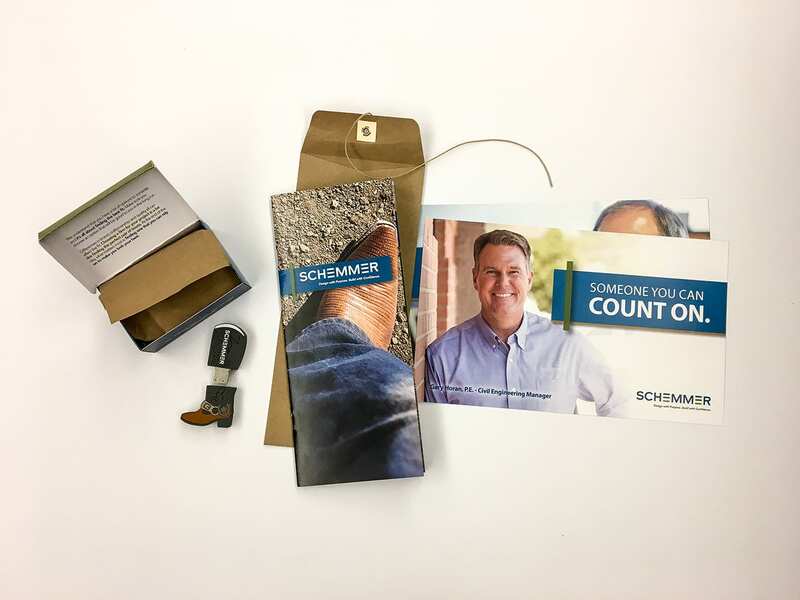 The five-part campaign ran in 2017 and the theme focused on getting to know Schemmer and our Oklahoma Team. SMPS is a community of marketing and business development professionals working to secure profitable business relationships for their A/E/C companies. The SMPS Marketing Communications Awards program provides an unparalleled opportunity for professionals to showcase their best marketing practices and to educate the industry about the critical role of marketing in successful firms. Every year the awards competition is open to SMPS members and nonmembers employed in the U.S. and international professional services firms. Click on the link to view the 2018 SMPS Marketing Communications Awards Gallery.